What is a ZIP +4 Code? What are those last four numbers in a nine-digit ZIP Code? People call and ask for the "Full ZIP Code", the "Last 4 Digits" of their ZIP Code, the "9 Digit ZIP Code", the "numbers after a ZIP Code", the "4 digit extension" and so on. Even though they all mean the same thing, The U.S. 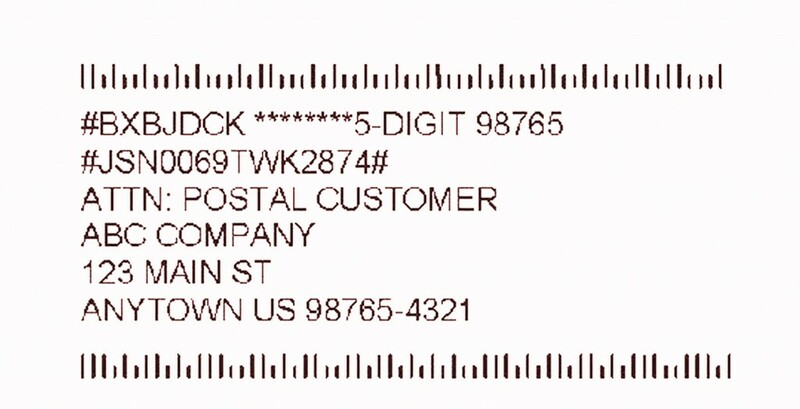 Postal Service refers to these numbers as the "ZIP +4 Code". To determine a ZIP +4 Code you will need to know an address. The last four digits are not specific to a city but to a street address or Post Office Box. The first five digits identify the area of the country and the delivery office to which the mail is directed. ZIP Codes start with a zero (0) in the northeast and gradually get higher as you move west. ZIP Codes in the far west start with a nine (9). The sixth and seventh digits point to a delivery sector, which may be several blocks, a group of streets, a group of Post Office boxes, several office buildings, a single high-rise office building, a large apartment building or a small geographic area. The last two digits represent a delivery segment, which might be one floor of an office building, a side of a street, specific departments in an office, or specific Post Office boxes. It's good to know your ZIP +4 Code. More and more companies are requiring it on paperwork and forms. The U.S.P.S. does not mandate that packages or letters need the +4 code. However, using the correct ZIP+4 reduces the number of times your mail is handled and can decrease the chance of a misdelivery or error. Click here to find your ZIP +4 Code! We are a licensed distributor of the U.S. Postal Service ZIP Code Data. If you are in need of a ZIP +4 Database, check out our U.S. ZIP+4 page. Our databases contain every street and address range in the U.S., along with the corresponding ZIP +4 Code.